Yes, it's after a classic and yes, it could have been better, but it was not disappointing. 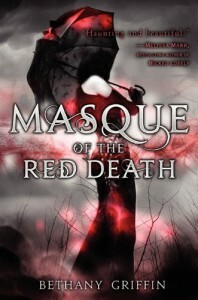 If you haven't read Poe's "Mask of the red death" go and read it now. It's a short story, shouldn't take more than 2 hours. If that got you intrigued and want to find out more about the dying city that is ignored by the prince, then get this copy now. What is power and how can one obtain it? True hate or love, those are the most strongest of feelings, but then there is also despair. Prince Prospero is a ruthless ruler. His city is ravaged by a deadly disease spread through the air. His scientist has found a temporally solution using a type of mask that filters the air. People should be safe now, but they are not, because the prince has control over the only factory which is fabricating the masks and will sell them at a huge price. In order to get a mask you have to be either rich or to receive one rich person's favor who is wiling to buy it for you. Masks can't be stolen. The first person who breaths through a mask is the owner of that mask. You can take it, of course, but it will not work. Araby Worth knows this best, for she has "stolen" her brother's mask, involuntary, by breathing through it. Also know as the scientist's daughter she spends her days sulking in the Akkadian Towers and her nights at the Debauchery Club, trying to hide her misery through sparkles and drugs. She's dead inside ever since her brother died and her parents seem to have forgotten her. The only person who is still bringing charm to her life is April, her best friend. I loved April and the way she puts glitter on Araby trying to hide the gloom. When Araby falls in love with Will and learns of the difficult situation he lives in [keeping his younger siblings locked in the hose because he can't afford masks for them] she finally decides to give a purpose to her life and is determined to get masks for the 2 kids. One thing leads to another and she's soon contacted by Elliot, April's bother, who's trying to start a revolution against the ruthless prince. Araby is not inclined to join in any way, but soon she'll find out that serving an individual is not enough and the putrid city will swallow them all sooner or later if things stay the way they are now. So, things I liked and excited me: the gloom of the city where death is at every corner was amazingly described in the novel. You could feel it in ever abandoned building, in every dark corner on every street which got blocked by a dead body. I loved the futile try of the rich to ignore and hide the truth behind parties and masks. Araby is not a strong character, but she becomes strong during this book. She acknowledges and accepts that she is a key person in the revolution [being the scientist's daughter] and she agrees to help everyone who comes her way. 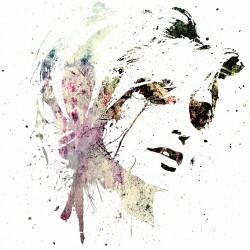 She is a sad character, trapped between other people's desires and expectations of her. She falls in love and doesn't even know what to do with it. She's living such dreadful times that love seems to not be an element of importance anymore, now that everyone is interested in power and how to obtain it, while death looms in the air seeming to spare the rich and condemn the poor. I really loved this book. It was magical in it's own depressing way and I am very eager to read the next one. The Gothic and steampunk elements were definitely a plus.